I was born in Iowa, but for the first decade of my life I lived in upstate New York. My dad was on staff at two different Bible colleges during that time. We spent the summer months in Iowa on Grandma’s farm, but headed back to New York before school started. There were several families on staff and we children, called “Campus Kids,” hung out together. The first college was in a small town and we spent most of our time on the playground at the end of the football field. 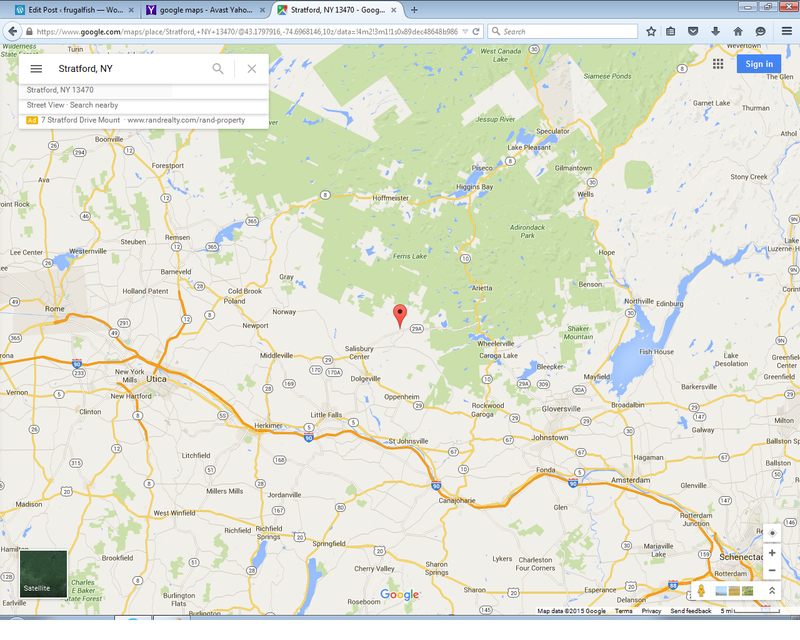 But the second college was smack dab in the middle of the woods on the edge of Adirondack park. It was a former convent with tunnels linking the buildings. It had been empty of humans for years, but the raccoons, mice, and birds made up for it. We moved there before it officially opened with the President’s family. Those two men had to evict the animals and make sure the buildings were ready for winter. When the rest of the staff and students arrived, we met more “campus kids.” My favorite times were when the entire group of kids would go play in the woods. Basically, that meant we climbed a steep incline to get to a trail that went around the property. There were so many of us that we made a lot of noise and never once encountered a deer or bear. We did see snakes, but avoided them. We would walk the trail, past the water tower, until we reached the football field. It was amazing how hot it was walking across that meadow. Then we would go into the trail on the other side. It went past the spring house. We would be thirsty by then and would drink from the spring using our cupped hands as glasses. That spring was fed from snow on top of the mountain and it was so cold your teeth would hurt if you drank too much. During the hottest weather, we might wade in it for a few minutes, but not too long, because our feet would turn blue. The water was always fresh and chlorine free. We thought nothing of drinking water off of the ground. We would meander the rest of the trail until it circled back to the other side of the property and it would lead us back to the building where we started. For entertainment, my dad would load up the family and we would take a car ride. I didn’t appreciate the colors of the changing trees on the mountainsides until I could no longer drive by them. Dad would look for castles and waterfalls. Our favorite castle was a circle of rocks, with a partial wall and a rock fireplace. The rest of it had crumbled. He never let us go up in the turret. I think it was built as a lookout. The waterfalls were beautiful and cold! We looked at them, but didn’t swim in the pools. When asked where I would like to visit on a map, it is always to return to the Adirondacks…Niagra Falls, Buffalo, Syracuse, and Utica. Of course, I hope my trip is in the autumn. 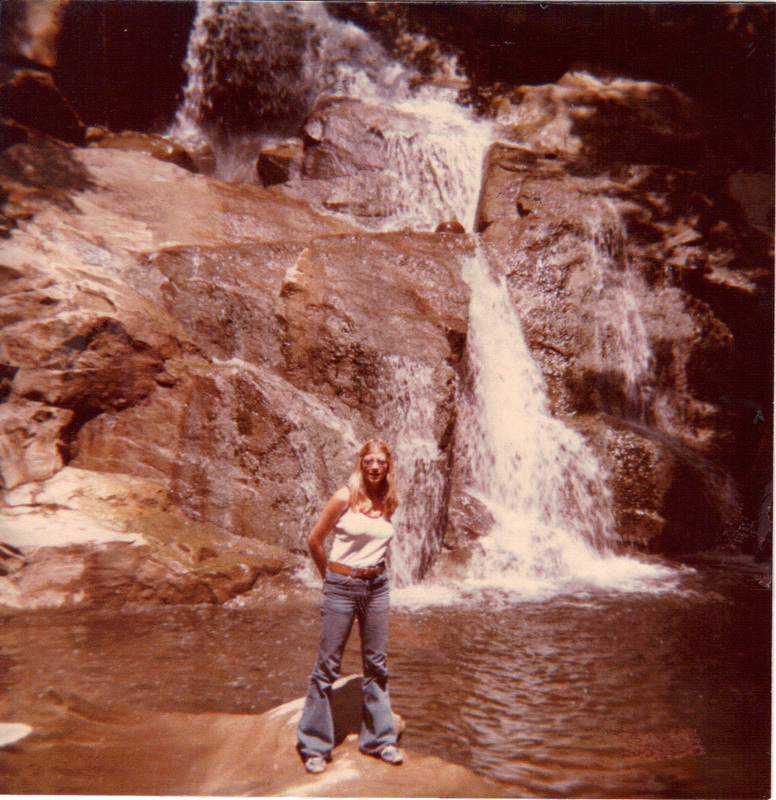 My sister, Michele, standing in front of our favorite falls in 1977. This entry was posted in Writing and tagged upstate New York, Writing, writing101 by Frugal Fish. Bookmark the permalink.